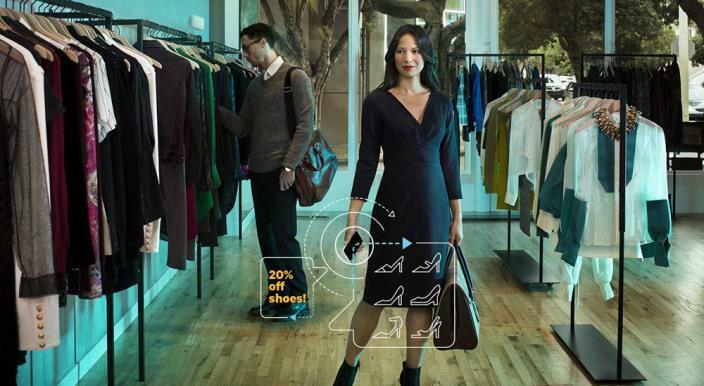 iBeacon is one of the most crucial latest developments in the mobile world. Apple has developed the iBeacons as an implementation of Bluetooth low-energy (BLE) wireless technology to create a wireless way of providing a location-based exchange of information and services. Currently, the tech is available with latest iPhones, other iOS devices, and even the latest Android versions. The beacons used in iBeacons are the small low energy Bluetooth transmitters. The Apps developed with the iBeacon tech can make the devices listen out the signals transmitted by these beacons and respond to them accordingly when the device comes in the range of the signal. For example, Say a retail shop has installed the beacons. When you pass the shop with an iPhone where you have installed the iBeacon specific app, it will automatically trigger a notification on your phone when it comes in the signal range. iBeacons are a much better option for offering the proximity and location based services or establishing a communication where GPS may struggle. As a result, iBeacons are becoming popular among the businesses day after day. Currently, the tech is offering a lot and is still in development. We can imagine the day when every mobile phone from cheap to flagship range would come laced with it. It’s probably the best time to invest in iBeacon App development and leverage this amazing tech for your business development. iBeacon is a new tech in the market.It’s still going through lots of research and development. Apple started testing iBeacons last year in its retail stores. Even Virgin Atlantic has conducted many trials using iBeacons on the airports. It aimed at conducting automatic check-in when passengers pass through the security checkpoints. The trip information will be pulled by the beacons from the passengers’ mobile phone. A lot more implementation has been seen for the iBeacons by the businesses around the world. 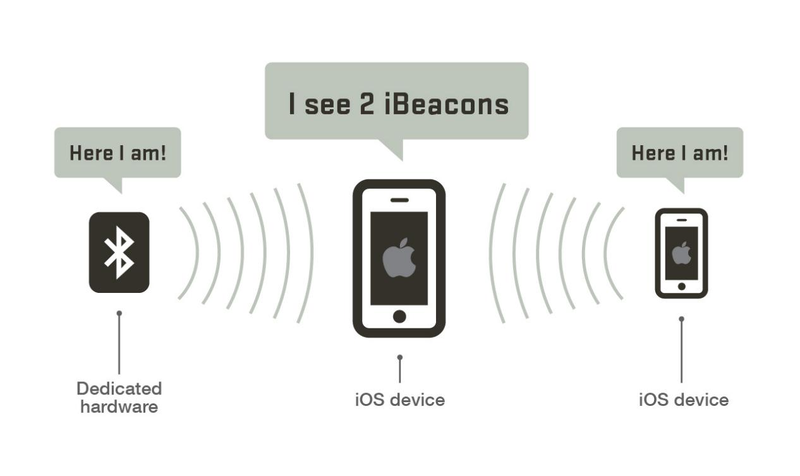 What are beacons in iBeacons? Any device that supports sharing of data through the BLE can be used to beam signals to another supporting device having iBeacon apps. For example, An iPad can both transmit and receive the BLE signals. However, Apple does not make the beacons by itself. There are various vendors and third party companies which manufacture the beacons that are used in the devices. The signals emitted by the iBeacon devices are affected by all sorts of hindrances like objects, walls, doors, and even the water. Can anyone push messages to you if you have a beaconed device? Well, that depends on how many iBeacons apps you have on your phone. Beacons alone cannot do much of the magic unless you have the apps that drive the communication. That means a business wanting to bombard notifications to the devices passing through its proximity would first have to get its iBeacon app installed on the phones of the people. So, if you as a user, want to stop receiving the notifications from a particular business, you can either switch it off from the settings or just uninstall that particular iBeacon application. Both iBeacon app development and using iBeacon application for your business is expected to offer a great range of opportunities. If you are an iBeacon App developer like us, keep doing it, it will get popular very soon. If you are a business and want to take it to the heights, get an iBeacon app developed for your business. Velocity with its iBeacon app development services will help you in your mission.